A ZipSprout client is hosting 10 breast cancer survivors to attend Susan G. Komen San Diego’s annual dinner symposium and fundraiser on March 23 called Screens Genes and the Choices We Make. Medical science is making extraordinary breakthroughs in the diagnosis and treatment of cancer giving more individuals than ever hope and a better chance at survival. Komen San Diego is bringing notable cancer experts together to review the latest on state-of-the-art cancer research, gene therapy, mindfulness and self-compassion. One of the survivors attending is Robin Rasmussen Marella. 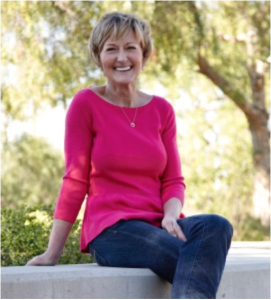 Robin was Susan G. Komen San Diego’s 2013 Honorary Breast Cancer Survivor. The loss of her mother to breast cancer three years prior to her own diagnosis played a major role in how she advocated for herself during her own battle. She also credits her survival to the support of her family and Komen San Diego. “Robin is an exceptional model for asking questions and being proactive in your battle to survive,” said Laura Farmer Sherman, president & CEO Susan G. Komen, San Diego. “The support she had from her family, good friends and her dedicated approach to treatment saved her life.” In 2002, Rasmussen Marella found a lump very high up on her chest. Many are unaware that breast tissue spans from the collar bone to the waist. She went to her doctor on a Friday and on the following Monday was diagnosed with Stage II breast cancer at age 47. While going through treatment, Rasmussen Marella was grateful for the encouragement and inspiration she received from her son, Dustin, and sister, Chris, who both played a major role in her survival. Dustin moved in with her to help out, and her sister flew in from Colorado on many occasions to comfort her before major surgeries or chemotherapy. Rasmussen Marella underwent nine surgeries during her treatment, including a lumpectomy (lymph nodes removed), a mastectomy and numerous reconstructive surgeries, and aggressive chemotherapy. While she is currently breast cancer free, Rasmussen Marella still struggles with residual effects of the illness and the treatments. If you are in need of assistance please visit KomenSanDiego.org/FreeServices or Dial 2-1-1 to speak with a breast health specialist. If you would like to make a donation in a loved ones name an honor card will be mailed to them. Please donate here.